In every anime involving a power system or at least, some superhuman abilities, people debate with each other at different forums and social media threads. 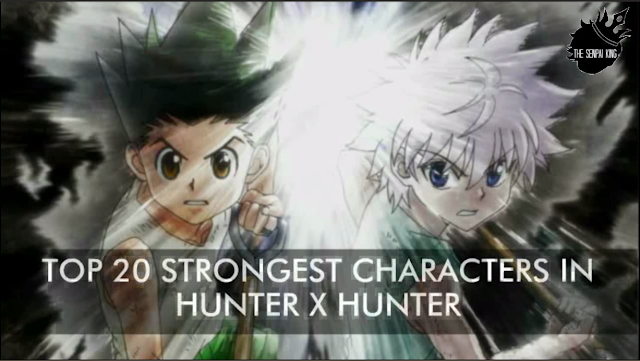 It may seem easy to give names for some anime series but Hunter x Hunter is always an isolated case. Yoshihiro Togashi, the creator of the famous Hunter x Hunter manga series, introduced the "Nen" power system almost two decades ago. Although the manga explained it beautifully, it does make more sense if you watch it in anime. Moreover, the 2011 anime adaptation of Hunter x Hunter perfectly showed imbued auras, which helped us understand the complex power system a whole lot better. Of all the power system I know, "Nen" appears as the most well-thought, logical, reasonable, and balanced. No one can become overpowered without paying a huge price. Even if supporting characters see each protagonist as "one in a million", Togashi successfully articulated the road Gon and Killua traveled just to gain a certain amount of power. Admit it that he got you into wanting to discover everyone's nen type and skill all because of the story behind the "hatsu", and a chance to see another unexpected way of using an odd ability in battle. Togashi got us at the edge of our seats especially at the part where Kurapika served as the bodyguard of the 14th Prince Wobble, while trying to retrieve the eyes of his brethren. Thanks to nen, its conditions to activate, its complexities, and its usefulness in many situations. Also, because of nen,anime characters die here in a fraction of a second! In addition, Hunter x Hunter is an anime series where everyone should use their heads. Otherwise, it will leave their bodies in no time. Before I accidentally drop some spoilers, check this list of the top 20 strongest characters in Hunter x Hunter according to our analysis. We tried our best to put many factors into consideration and here in front of you, lies our top 20 strongest nen users. We referred to the anime and manga up to chapter 369. Some characters such as adult Gon, Nanika, and Alluka are not included. Hunter x Hunter is a manga series created by Yoshihiro Togashi. It produced two anime adaptations in 1999 and 2011. Also, it gave birth to multiple OVAs, two animated films, soundtracks, albums, and other media. Watch the Hunter x Hunter first movie, Phantom Rouge by purchasing the DVD copy here! Watch the Hunter x Hunter, The Last Mission by purchasing a copy of DVD here! The Hunter x Hunter manga went on hiatus again after Shueisha's jump published chapter 370. Reasons remain unknown but Togashi's team promised to go back in production before the year ends. So what do you think of our list? I know most of you will not agree to this. So please point them out in the comments section below and let's discuss! Like what you've read? Support our writers by sending a PayPal donation. Thanks!